Star Wars Episode IX to shoot in outer space? 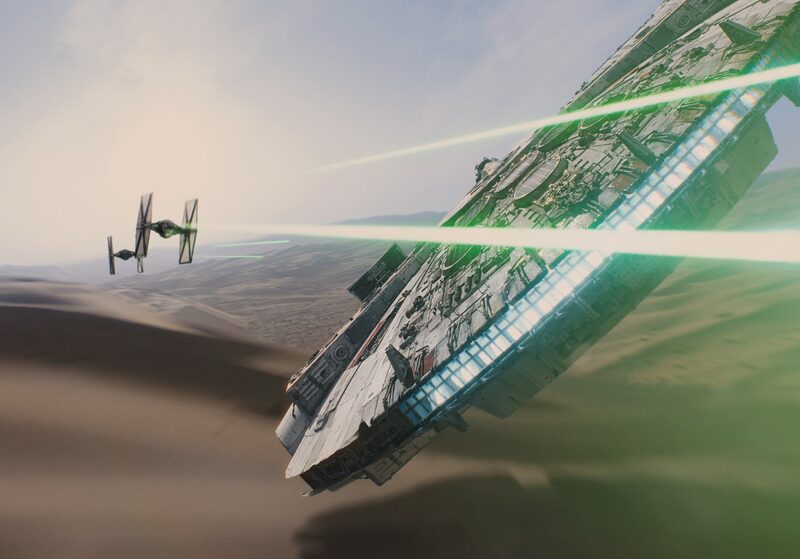 Director Colin Trevorrow wants to actually take his Star Wars film to a galaxy far, far away. As yet, no Star Wars movie has actually delivered on that opening statement promise – but that could soon change if Episode IX director Colin Trevorrow gets his way. Speaking at the Sundance Film Festival, Trevorrow revealed that he wants to film his Star Wars instalment “on location” in outer space. “I asked the question, ‘Is it possible for us to shoot IMAX film plates in actual space for Star Wars, and I haven’t gotten an answer yet, but they’ve shot IMAX in space!” he said. Jurassic World director Trevorrow made the comments while sitting on a panel with Christopher Nolan, who admitted he’d also tried to go off-planet for his most recent film. “Funny enough, we had that conversation with Interstellar. There’s incredible footage from space now,” he added. Journey To Space, Cosmic Voyage and and Hidden Universe are among the IMAX films that use real footage from the cosmos. Trevorrow also confirmed that he plans to shoot Episode IX on film instead of digital, something that will be music to the ears of film purists. “The only place where I tend to not be able to attach myself entirely to something shot digitally is when it’s a period film. There’s something in my brain that goes, ‘Well, they didn’t have video cameras then,’” he explained. Trevorrow’s intergalactic Star Wars won’t be arriving in cinemas until May 2019. Before that there’ll be Rogue One: A Star Wars story in December this year, and Episode VIII in December 2017. The latter is potentially bringing an iconic character from the series back from the dead.